Are you ready to M I X. I T. U P?! 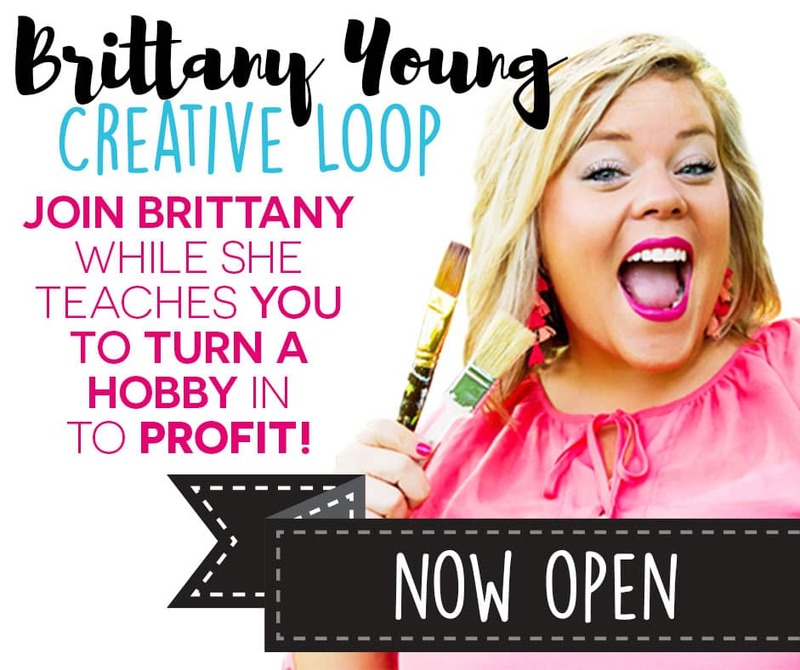 Looking for a cute new spin on an original? Moss takes the spotlight in this aDOORable version of our traditional wooden door hangers! 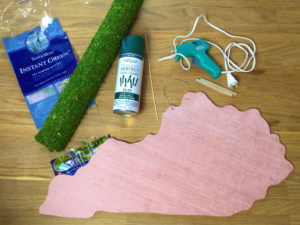 Venture off the beaten path with this DIY tutorial that will have your neighbors giving you the (green) thumbs up! 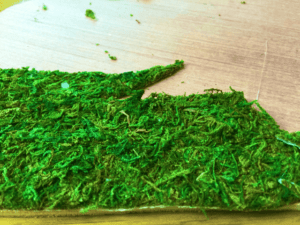 Step 3: Cut your moss into strips. 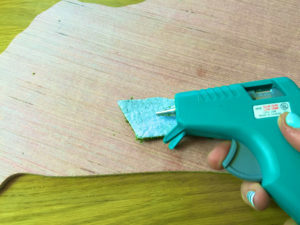 Using a hot glue gun, glue strips down as you go. Allow a little hang over/extra around the edges to use for cover later. Step 4: It is OKAY if your strips need to overlap a little in order to cover. The texture of the moss will visually blend these areas, so no worries! Step 5: Once you have the surface covered with moss, go back to the edges we talked about in the beginning. 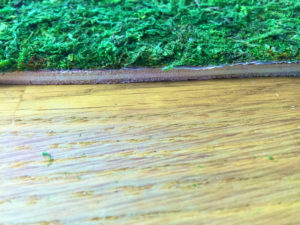 Lay a strip of hot glue down the edge and carefully fold the moss over to cover that edge. Go all the way around your shape folding over the edge. This is the last step! Exciting! FINISHED! Prepare to be bombarded with compliments on your aDOORable moss covered creation! 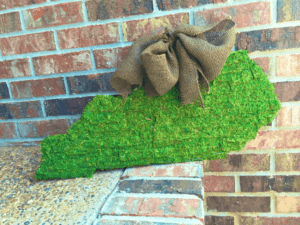 Ready to make MOSS the BOSS of your porchscape?! Follow these simple DIY steps or check out my Facebook Live Tutorial Video for more info!